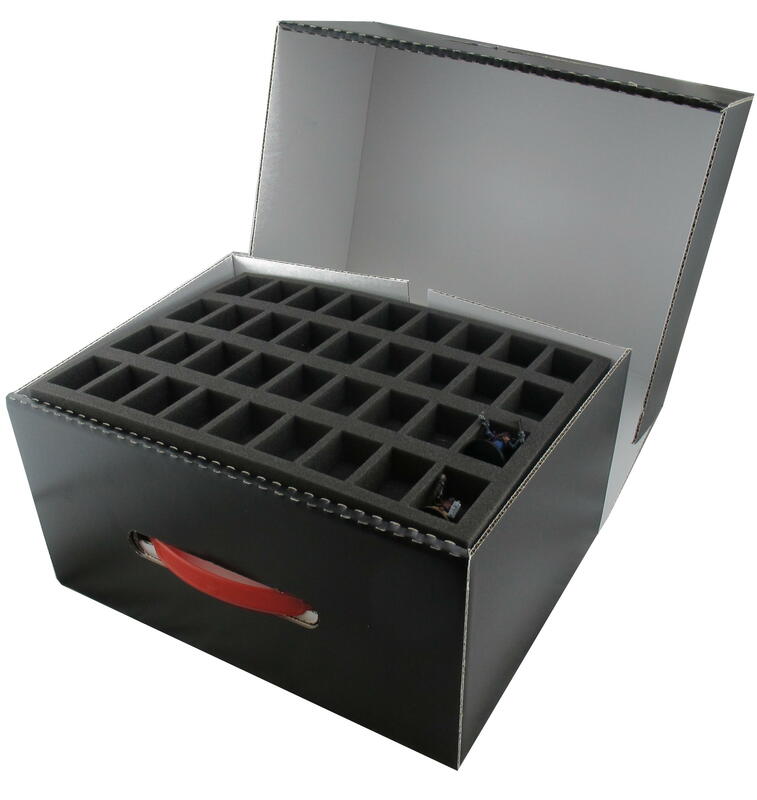 This case is supplied without foam. 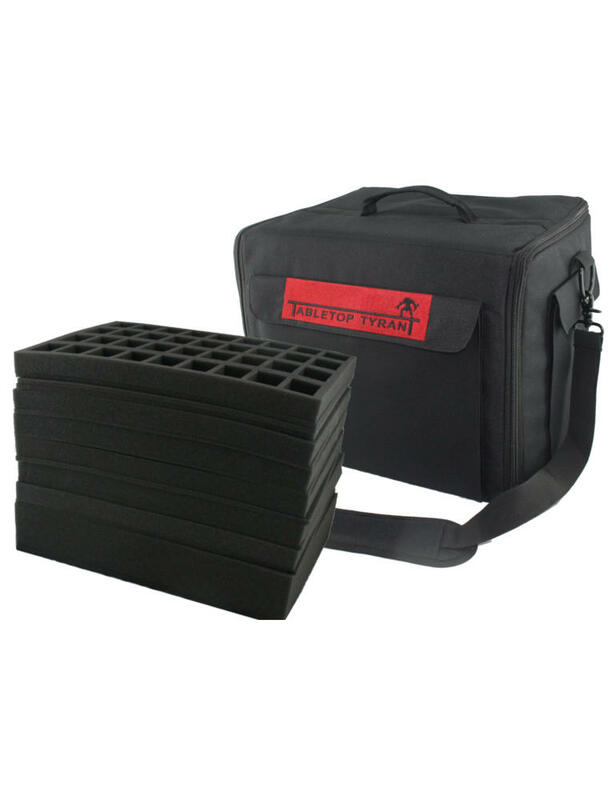 We have designed the Defender due to multiple customers in our retail store requesting a stackable storage case to transport their armies. 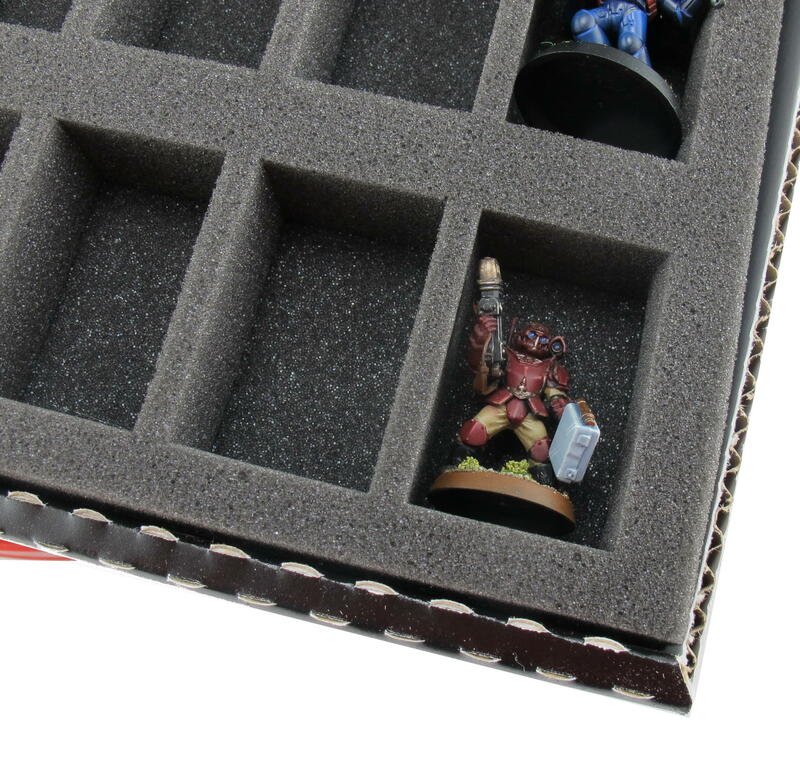 This choice of material ensures it is very durable and incredibly protective of your miniatures. The design of the Defender case provides you with a wrap around lid for all round protection, and the injection moulded red plastic handle forms the snaplock for the Defender to provide a securely closed case the instant it is closed. 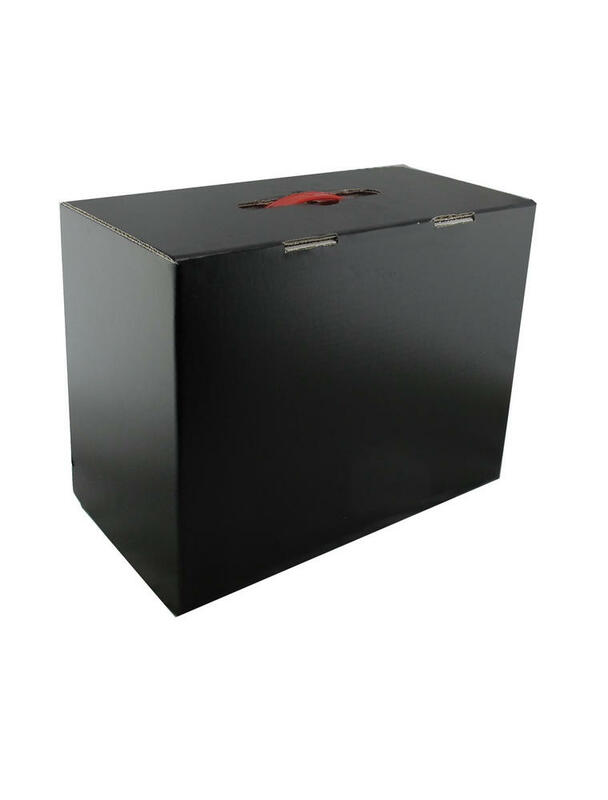 This ensures the contents are safe from spilling out and can be transported with ease.